The UTC Roberval Laboratory promotes the development of innovative computational and experimental protocols and tools for reliable and robust analysis-based design, of mechanical engineering systems and structures. The Roberval Laboratory maintains its strategic objective to become a 'pole of excellence' (in the French HE incentives awards nomenclature) in the research, design and control assessment in mechanical engineering and sciences. In order to attain this objective, a systemic and multidisciplinary approach has been adopted, taking into account the physical, mechanical, thermal, acoustic and vibratory interactions between the subcomponents of the systems investigated. The research work focuses on the development of experimental, theoretical and multidisciplinary mathematical modelling skills and know-how, to be implemented when designing materials, structures and mechanical systems. The laboratory aims at developing expertise in design methodologies and manufacturing protocols complying with environmental standards and constraints. 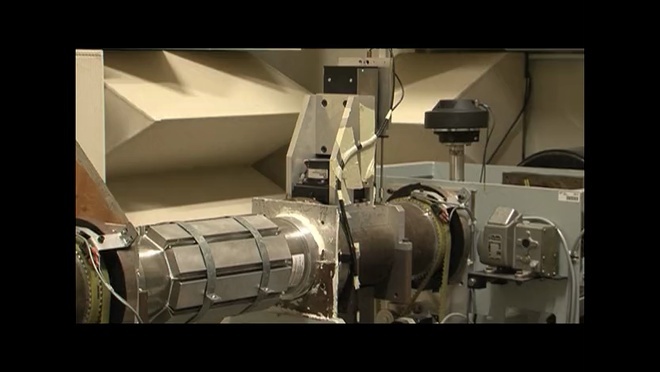 The UTC-Roberval laboratory focuses on research in the areas of material sciences and engineering, solid and fluid mechanics, acoustics and vibrations. Materials and Surfaces: Mechanical characterization of surfaces and interfaces, multi-material configurations, modeling of material behaviour at various scales, the interaction with the environment (such as corrosion, surface damage, etc.). Acoustics and Vibrations: Aero-acoustics, propagation in fluid flows, acoustic and vibratory aspects of comfort, the identification and characterization of noise sources, noise absorbent materials: specifications and optimization. Computational Mechanics: Development of original models to simulate multi-physical coupled phenomena, robustness of the simulation models, multidisciplinary design optimization, discretization and approximation techniques, test vs. computation correlation. North-Western Polytechnical University at Xi'an, China (joint research group Virtual Prototyping for Design and Fabrication), École Nationale des Ingénieurs de Sfax (Tunisia), University of Santiago du Chili, École des Mines de Cracovie, University of Technology Wroclaw, Universities of Québec, Université Libre de Bruxelles, Imperial College London, ISVR Southampton. The Roberval laboratory is developing projects in collaboration with other UTC laboratories and academic partners in France and abroad. The DIMEXP labcom aims at facilitating the emergence of new references and design and industrialization standards for mechanical engineering products, through collaborative, multi-scale management of innovative digital mock-ups and by taking into account various heterogeneous data. DIMEXP was selected in the first call for 'labcom' projects by the ANR (national assessment agency for HE and research). The aim of BIOMIST which is an acronym for semantics-based management of biomedical image data for use in research, is to provide research workers specialist of bio-medical imaging, with an efficient information and data processing system so that they can optimize the use they make of this data in their research activities on large groups of patients and to enable re-use of previously acquired, duly processed and interpreted data, in contexts other than where the data initially originated. ARAMIS (acronym for analysis of robust asymptotic methods used for digital simulation in mechanical engineering) implements an asymptotic methodology that enables various small-dimensioned faults to be taken into account; 'cracks'for example, in finished 3D models used in mechanical structures, with a comparative mesh that corresponds to a non-fault condition. The corrections to be introduced in the mechanical field because of the presence of one (or several) small dimensioned fault(s) is identified by asymptotic analysis, integrated into finite element analysis as way to enrich the level of approximation. Optimum aims at implementing experimental, digital analyses of metallic assemblies made by linear friction welding. An original, integrated approach that analyses concomitantly the elaboration process, the consequences on microstructural evolutions and possible uses, notably in respect to life expectancy of the welded assemblies for aerospace applications. The Micromorfing project aims at developing an "advanced" model for shaping processes of metallic materials using thermomechanical, finite element, analysis that integrates multi-physical coupling taking into account the anisotropic phenomena induced when the structures undergo large-scale deformations. The project consists of implementing developments need to help predict faults induced while the materials are being shaped. › SDM4DOE develops simulations for open source data management for digital experiences. › CEVAS aims at offering shared skills for the development and certification of an aid for the design of 'silent' air ventilation systems (French acronym SVAS). The final objective is to enable equipment manufacturers to design (with least cost and lead times) the 'most silent' systems with the 'best quality' of perceived sound. › Ecobex consists of framing a strategy for acoustic treatment of internal combustion propelled vehicles with the aim to reduce the perceived road-side noise level to comply with ISO 362 and other recent EU regulations. › SuPLight focuses on new industrial models to obtain sustainable solutions - with75% recycling of high quality (forged alloy) structural components. Relatively sophisticated optimization algorithms will be used for products and processes with an expected increase weight/performance of 50%. › Refresco aims at producing framework regulations to be applied new structural materials in railroad passer and freight transportation rail-carriages. › The HEXENOR project is developing noise abatement technologies for helicopter engine exhaust systems. characterisation of material behaviour for living materials with the Equipex FIGURES. Compofast (AMI covers Vehicle weight-saving, aerodynamics and architecture) consists of developing thermoplastic composites with continuous strutting strengtheners that contribute very significantly to cost control and manufacturing time-to-assembly for mass produced vehicles. CERVIFER (AMI covers railroad transportation) has the principal objective to increase the French railroad industrial efficiency level, using virtual prototyping software packages and development of robust, pre-certification test protocols, via a method of component and system computation in both rolling stock and in railroad infrastructures. BESTH (AAP-noise issues), in the framework of a hydraulic parallel hybrid transmission bus, to better understand the physics that can be observed in this problem area and to define design evolution for products and systems such that more silent transmission solutions can be identified and found acceptable by the new markets opening today. The HV-NanoRob project is aimed at designing and ordering a high speed nanorobot system that enable an operator to, generate rapid trajectories for a Local Probe Microscope (LPM). The system as proposed will differ from existing systems by its capacity to carry out high speed mapping in a constrained environment and for large surfaces. Today's (and tomorrow's) challenges in terms of performance/cost ratios in aeronautics, land and sea transportation require the use of innovative materials that comply with the latest structural and functional standards. The development of composite materials with 3D strengtheners - an area of expertise where UTC has an excellent track-record for the last 15 years - is an answer to these new challenges. Whereas previous generations of composites had 1D or 2D strengtheners,and subsequently displayed certain structural weaknesses in the 3rd dimension, this new 3D approach with reinforcement of so-called technical shaped tissues generates several possible architectural configurations for composite materials. Noise reduction is a major challenge for the mechanical engineering sector. The Roberval Laboratory is involved in research in this area by the development of computational and experimental tools for vibro-acoustics and aero-acoustic sin partnership with automobile industrialists as part of the world-class "pole of competitivity" Itrans, and with the aeronautical sector in the framework of the Research Initiative for Acoustic Optimisation (IROQUA). In the foregoing context, the Laboratory research groups focus on several original systems integrated in the aircraft engine pods or in the cooling systems in cars in order to reduce and control transmitted noise. The research uses test bed arrangements and numerical models developed by the Roberval Laboratory in the framework of European research programmes, with continuous support from Valeo Thermique Habitacle, SAFRAN (SNECMA, TURBOMECA) and the CNRS. This research has resulted in a patent registration jointly lodged by Snecma, CNRS and UTC.